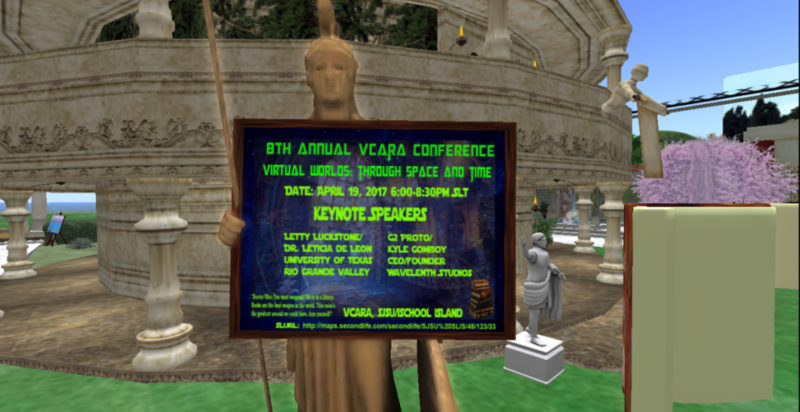 Join VCARA for our 10th Annual VCARA Conference from 6pm-8:30pm SLT (Pacific) on Tuesday, April 23, 2019. 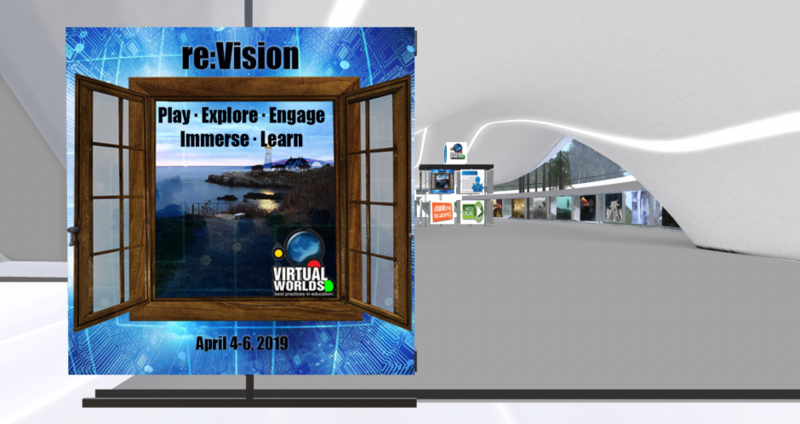 This year’s theme is “Sands of Time: Looking Back to Move Forward” and will emphasize heroes and activities from VCARA’s past as well as prospects for future virtual world best practices and endeavors in both 3D and VR environments. 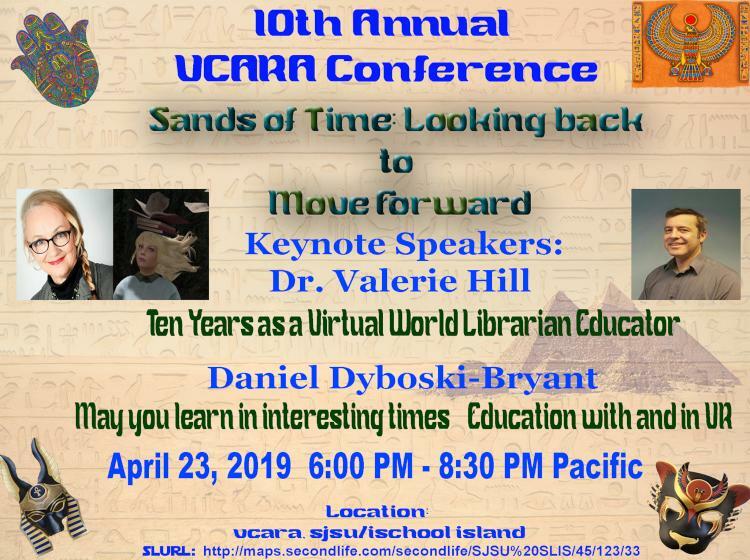 Mark your calendars for the 10th Annual VCARA Conference from 6 p.m. – 8:30 p.m. SLT (Pacific) Tuesday, April 23, 2019. 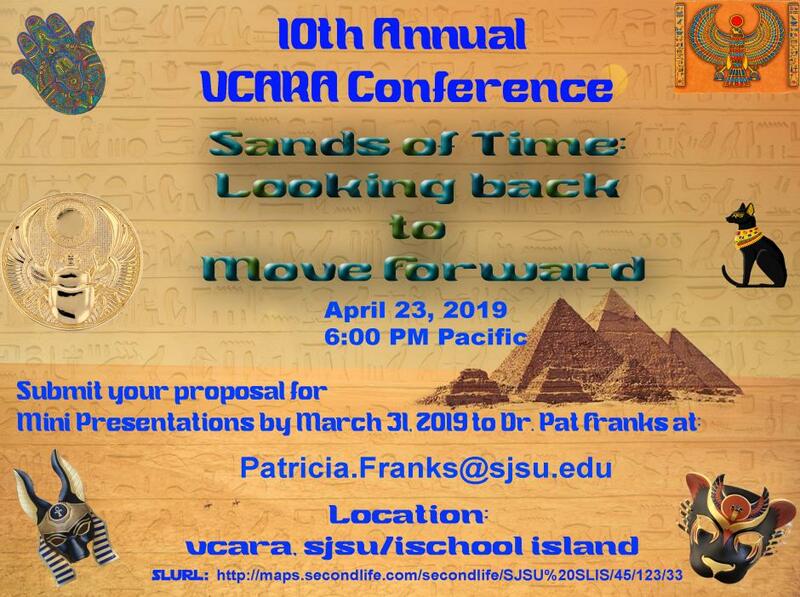 This year’s theme is “Sands of Time: Looking Back to Move Forward” and will emphasize heroes and activities from VCARA’s past as well as prospects for future virtual world best practices and endeavors. 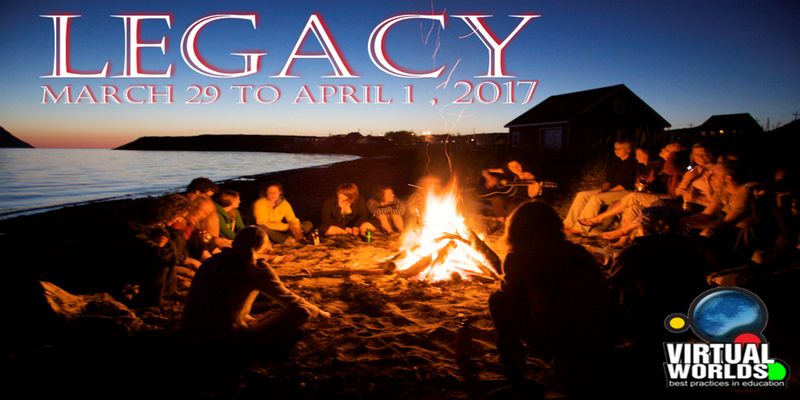 Submit your proposal for a 10-minute mini presentation by Monday, April 8 for one of the 10 slots available. Download form and return to Dr. Pat Franks. 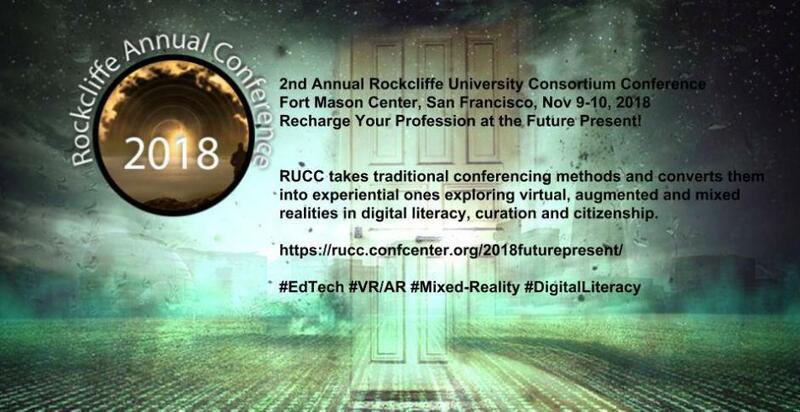 Rockliffe University Consortium (RUC) held their second annual conference (RUCC18) at the Fort Mason Center for Arts and Culture in San Francisco, California on November 9-10, 2018. 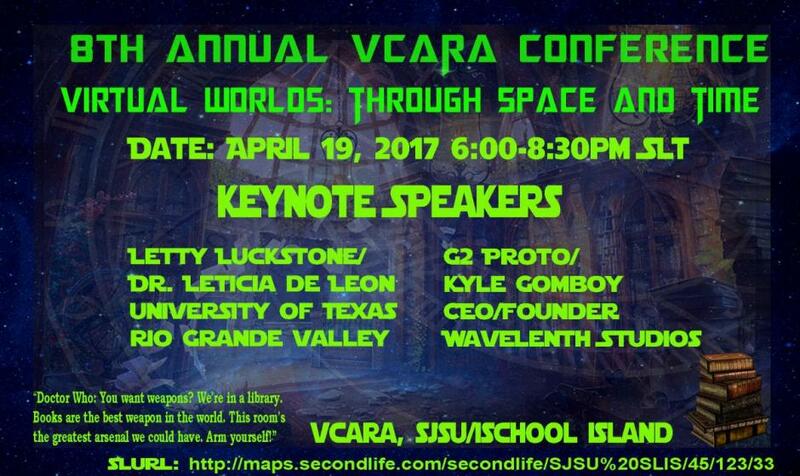 On April 18, 2018, VCARA held its 9th Annual VCARA Conference on iSchool Island in Second Life. This year’s theme was Passion for Truth: Trusting Information in the Fake News Era. 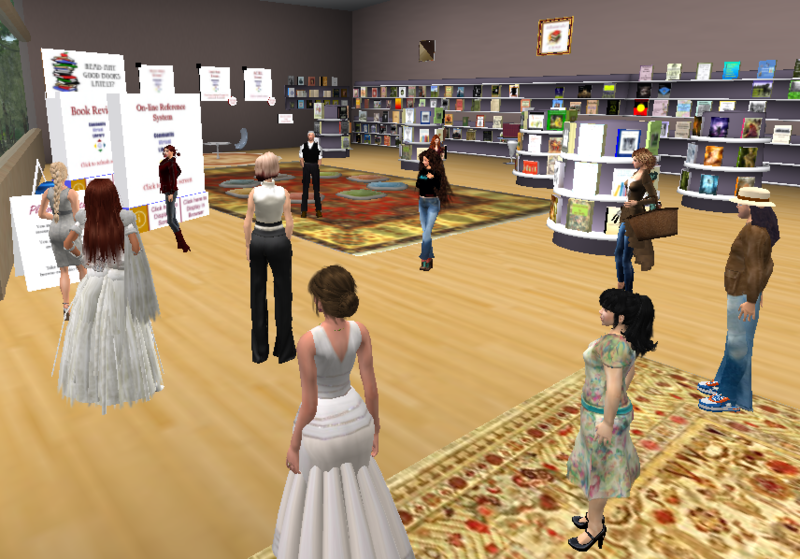 Attendees posted to social media during the conference using #VCARA. 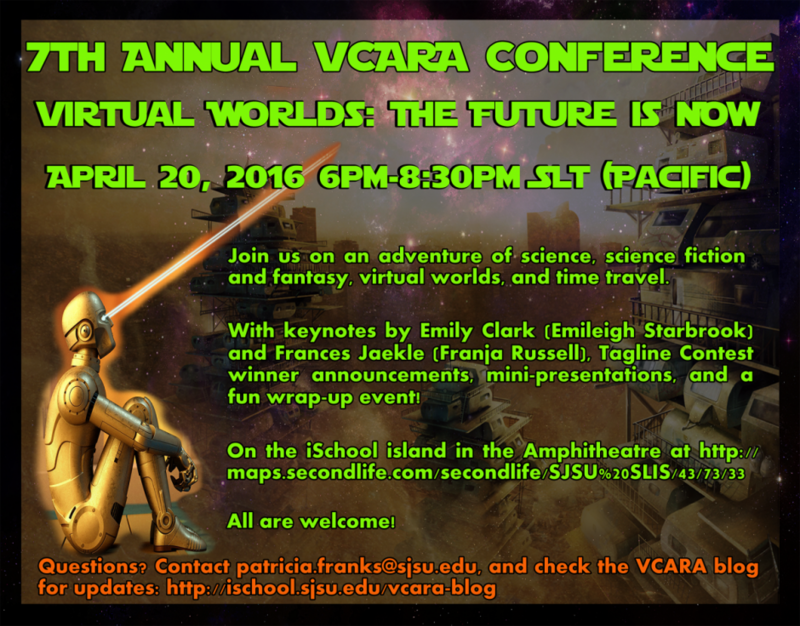 The 8th Annual VCARA Conference’s theme was Virtual Worlds: Through Space and Time. A huge thanks for an excellent turnout! 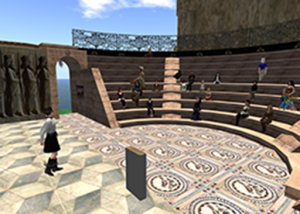 Presentation recordings are available. 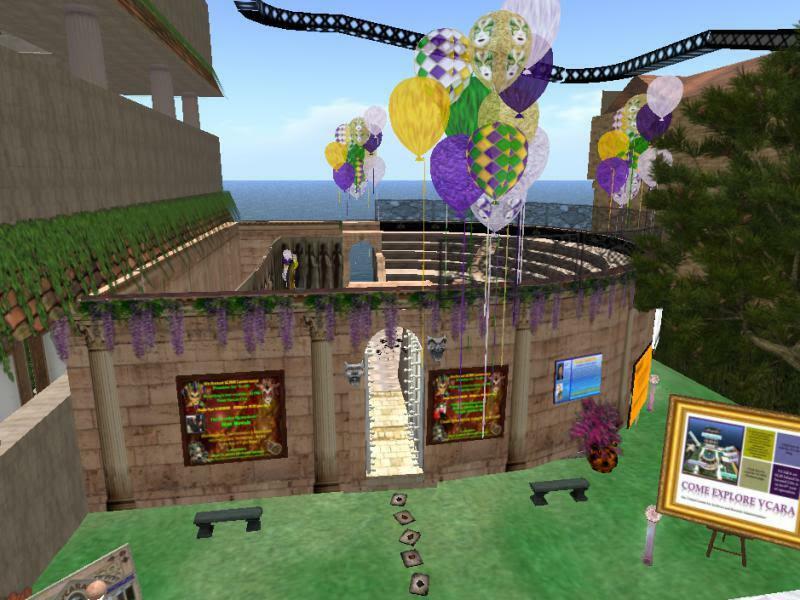 In fall 2016, CVL will present an exhibit of virtual worlds art work from artists in virtual worlds including Second Life, Kitely, Inworldz, and Opensim. 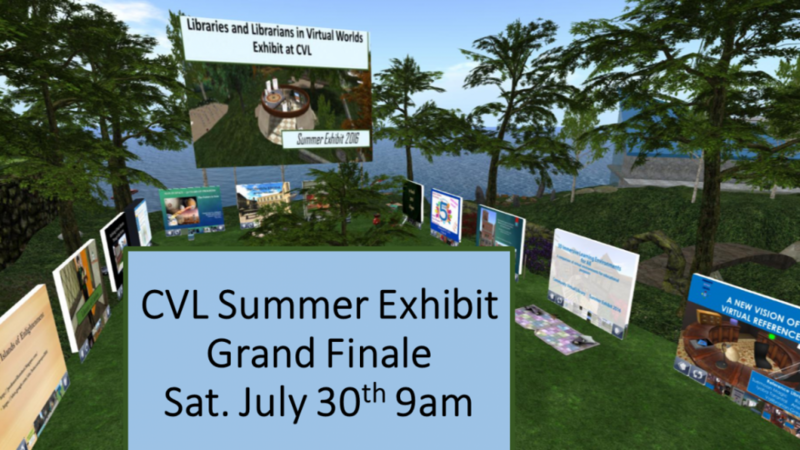 The Community Virtual Library (CVL) in Second Life is wrapping up their “Libraries and Librarians in Virtual Worlds” summer exhibit with two live events. 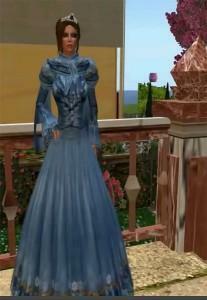 Join us for an online educational and fun event with a Sci-Fi theme in Second Life! 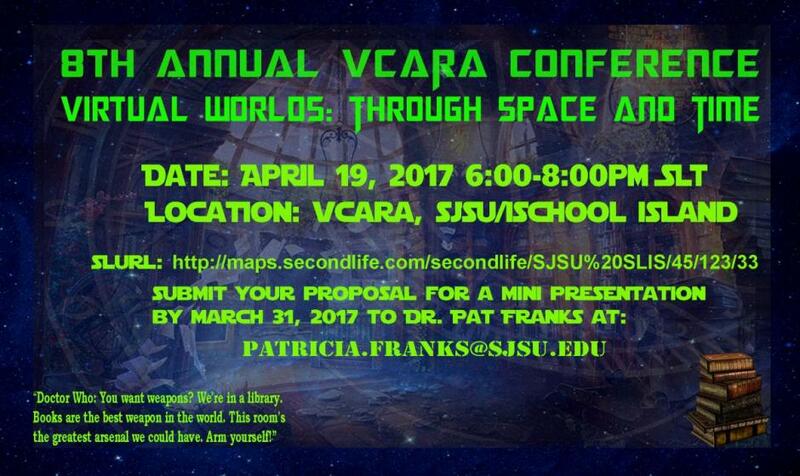 Students and alumni are highly encouraged to submit work related to their current and past courses for the VCARA Conference – Virtual Worlds: The Future is Now. The 6th Annual VCARA Conference was held on April 21, 2015. It was well attended, which is not surprising considering the lineup of speakers.